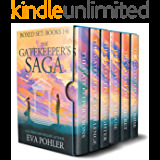 Eva Pohler is the USA Today bestselling author of over twenty novels for teens and adults. 5.0 out of 5 starsFabulous Reading Everytime! I absolutely love reading Evas’ books! Each book - page turners & will keep you entranced from start to finish. Eva has done it again with the way she tells the stories for Greek Mythology. From the very beginning of the series she takes each character that we have heard about and gives each one different life. In the final book of this series we get to see everyone who was never really on the side of the Underworld realize how powerful Hades really is. We see how each family member helps one another as they deal with the way Zeus has changed with his power. To tell the truth I have always liked the way Hades rules the Underworld he is a just God and Poseidon is just as strong as his brother with his rule of the water. If you have a love for Greek mythology you truly need to read the series and get better insite to everyone involved. I truly hope Eva find a way to keep this story going even with others characters in the series. 5.0 out of 5 starsOh my gods and goddesses! When she announced the spin off books, I read and loved those (including this one which was AWESOME). Yes, Eva, I at least would be very interested in another spin off about the twins. Your versions of the Greek pantheon are refreshing. 5.0 out of 5 starsBest Seller! A page turner! What an epic finale! 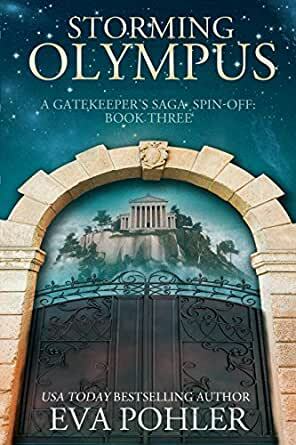 This series is one of the best in greek mythology. I enjoyed this book immensely and couldn't put it down. I am speechless at how amazing it turned out. I love Eva's clear description of the Gods. There were new twists and develoments that left me speechless. If the Greek gods ever did exist, I find myself thinking I bet they are just like this. What an amazing read. I could not put the book down one bit. Because of your books, I have since taken to Greek mythology. Eva you make it so interesting and so lively and so romantic. I have truly fallen in love with all the characters. You made these books and on such a good note I feel satisfied, thank you. I loved this series. I am a 50 something adult and I thought it was very fascinating. I like to read things away from everyday life. No reality for me. But this series kind of makes you wonder what may be out there that no one know about.